Knife Rights has repealed knife bans in Alaska, Indiana, Kansas, Maine, Missouri, New Hampshire, Nevada, Oklahoma, Tennessee, Texas, Washington and Wisconsin. May 6, 2016: In a move that caught most everyone by surprise, Senator Tim Bevins was able to move his Illinois switchblade ban repeal bill, SB2294, to a floor vote. It passed unanimously. It now moves to the House under sponsor Rep. John D. Anthony. Knife Rights is working closely with our friends on the ground in Springfield to get the bill moving in the House where it first has to pass out of committee. The City of Chicago is working to stop the bill from moving, to nobody’s surprise. 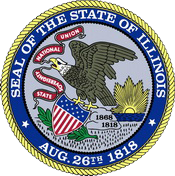 In the coming days we may ask you to contact members of the Illinois House. Please pay attention to our alerts in case we need your help!